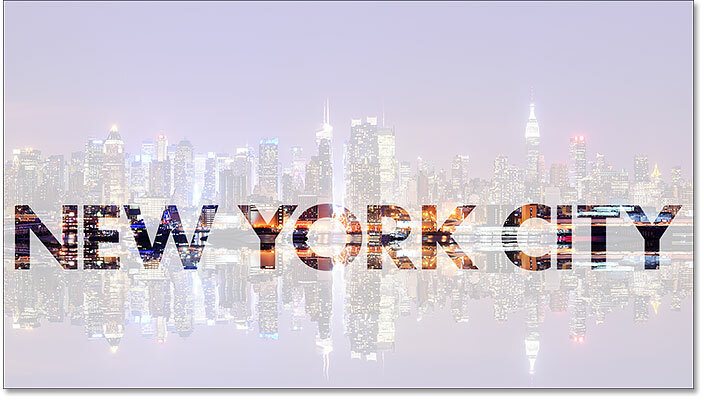 This tutorial shows you how to create transparent text in Photoshop, allowing the image behind the text to show through the letters! 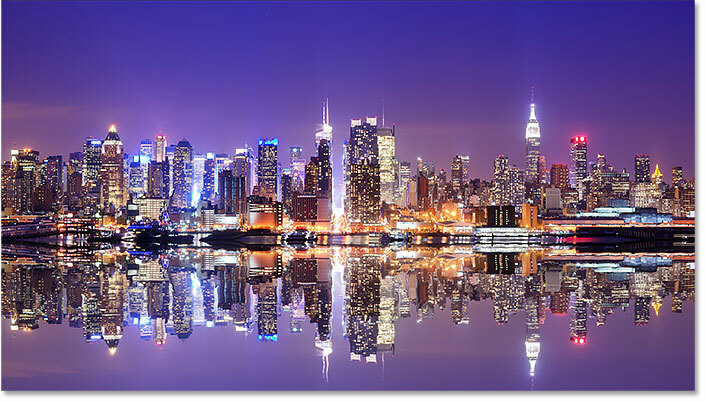 A step by step tutorial for Photoshop CC, CS6 and earlier. Need to add text to an image but there's just no good place to put it? 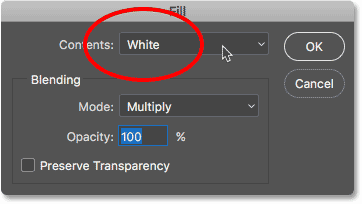 Try adding it as transparent text in Photoshop! 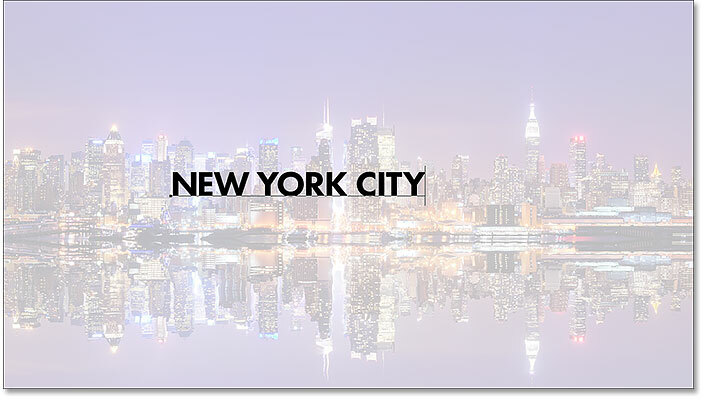 In this tutorial, I'll show you how to easily create a transparent text area, meaning that the type itself will be fully transparent, allowing the image below it to show through. We surround the text with a block of solid color, usually white, to reveal the shapes of the letters. The transparent text then becomes a frame for our subject! This is a great design trick for images that are too busy for text to be easily readable. 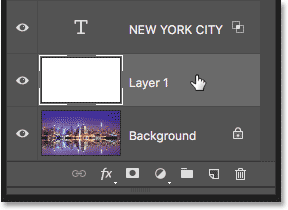 Clicking the "New Layer" icon. The new layer is added. The new layer is now filled with white. 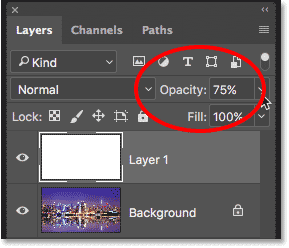 Lowering the opacity of "Layer 1" to 75%. 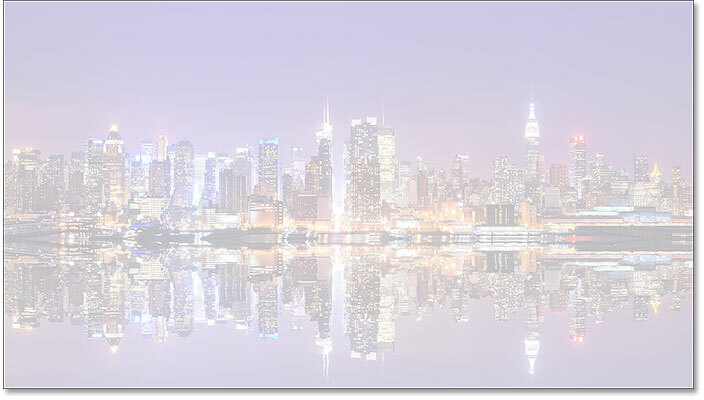 The image now shows through "Layer 1". Choosing the font in the Options bar. Setting the font size to 72 pt. The type color swatch in the Options Bar. Adding text to the image. 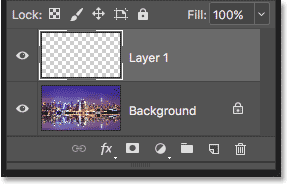 The Layers panel showing the new Type layer. Hold Shift and drag the corner handles to resize the text. 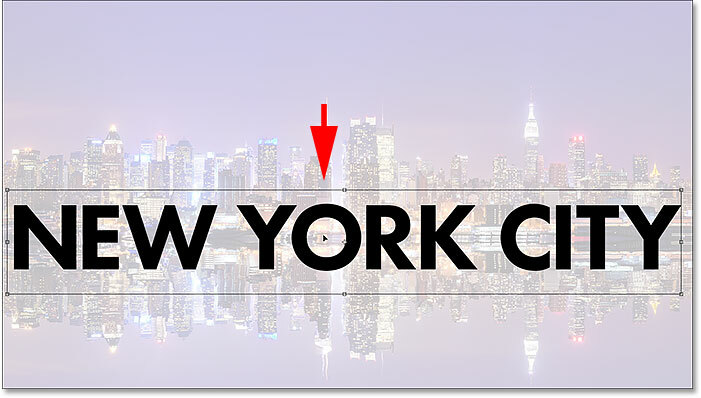 Click and drag inside the Free Transform box to reposition the text. Setting the Knockout option to "Shallow". 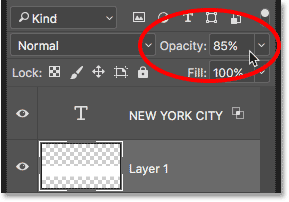 Lowering Fill Opacity to 0%. The effect after turning the Type layer into a knockout layer. 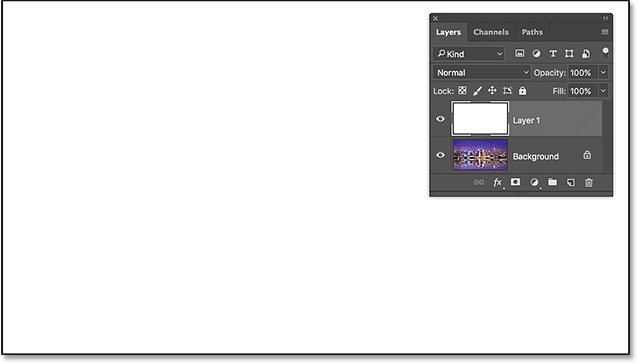 Resizing the white area surrounding the text with Free Transform. Increasing the Opacity value to 85%. The final transparent type effect. The steps we've covered in this tutorial are all you need to do when the image you want to reveal through your text is on the Background layer. 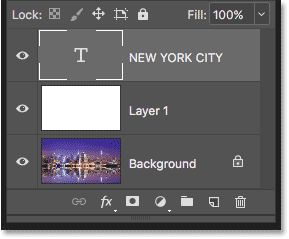 If you have an image above the Background layer that you want to show through the text, simply place the Type layer and the solid white layer below it in a layer group by selecting both layers, then going up to the Layer menu and choosing Group Layers. And there we have it! 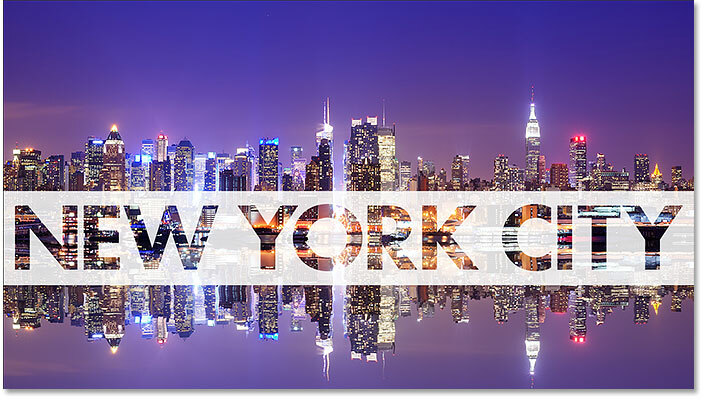 That's how to easily add transparent text to an image with Photoshop! 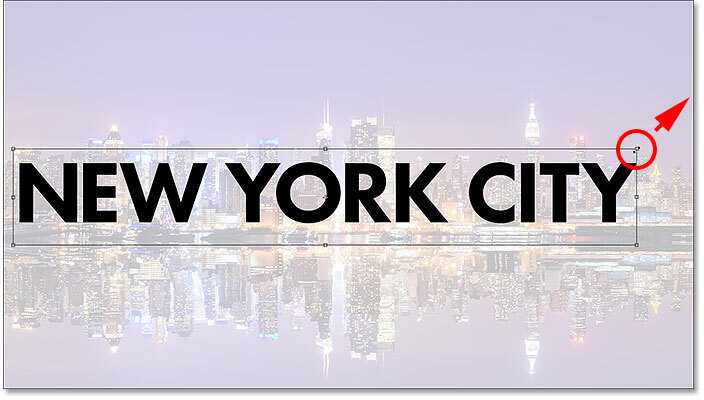 Along with adding transparent text, another classic Photoshop effect is to place your image directly inside the text. Or, learn how to blend your text into the image by choosing type colors straight from the image itself! 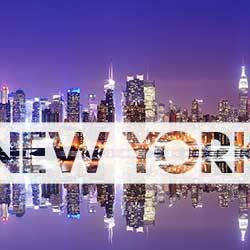 Visit our Photo Effects section for more Photoshop tutorials!